Studying a veterinary medicine course in the UK will equip graduates with the knowledge and ability to help with the surgical treatment and care of animals. 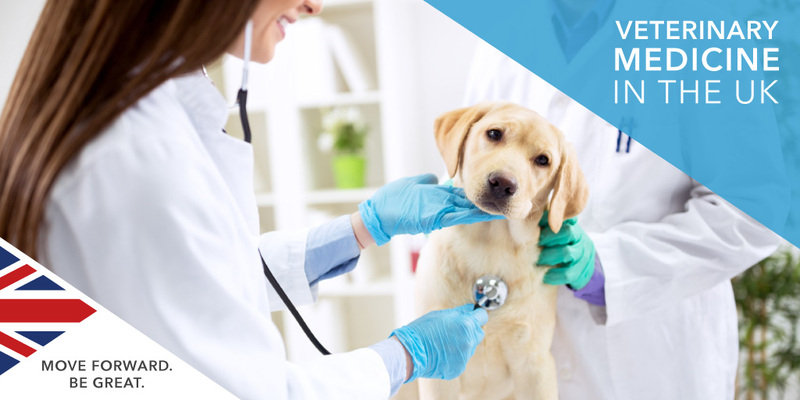 Veterinary medicine shares much in common with regular medicine programmes, and students will find a large degree of crossover in terms of modules and topics covered. Courses generally last five years and once you graduate, you will be able to register with the Royal College of Veterinary Surgeons and begin your career. There are only seven UK institutions which cover veterinary medicine, and you can learn more about each of them below. If you wish to begin your application to study veterinary medicine in the UK, arrange a free consultation in London or Manchester today. The Veterinary School is fully accredited by the UK’s Royal College of Veterinary Surgeons (RCVS) and the American Veterinary Medical Association. In addition to this, The European Association of Establishments for Veterinary Education and the reciprocal arrangement between the RCVS and the Australasian Veterinary Boards Council Inc allows Bachelor of Veterinary Medicine and Surgery graduates to register to practice in Europe, Australia and New Zealand without requiring any further qualifications. If you are interested in studying veterinary medicine in the UK, arrange a free consultation in London or Manchester today.